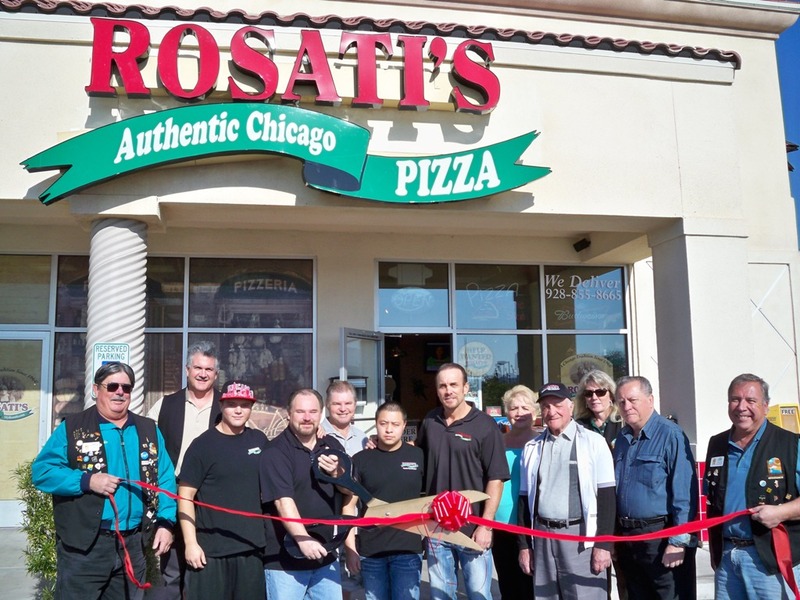 Rosatti’s Chicago Style Pizzeria celebrated one year in business with a ribbon cutting by the Lake Havasu Area Chamber of Commerce. 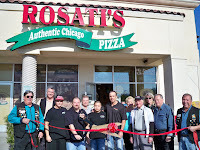 A great product with great prices and large quantities is what is offered at Rosatti’s along with authentic Chicago style pizza as well as a full menu including pasta, subs and salads. Delivery is available from open to close, 10:30 am till 11pm Sun-Thurs and 10:30 am till Midnight on Fri and Sat. Pictured left to right at the ribbon cutting is Mike Schuler, Dominick Dragone, Brandon Wardecki, Casey Wardecki, Mark Wardecki, Tony Picard, Ray Czernek, Joan Czernek, Fred Rosatti, Audrey Hoyt, Raymond Czernek, and Tom Otero. Rosatti’s is located at 91 London Bridge Road, to order call 855-8665.